Wow, where does Sierra know when to stop? Ever since Half-Life became successful, they have re-released the product in stores four different times. Not to mention one previous expansion pack, two other free downloadable mods, and now two Half-Life compilation packs. 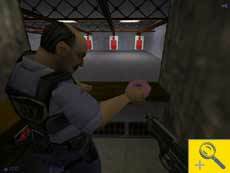 The Dreamcast version of Half-Life was originally slated to include the original game with enhanced models and a small mission set, called Blue Shift, depicting the player as Barney Calhoun, a security guard. 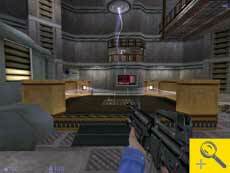 Since the Dreamcast production was cut, so was the respective version of Half-Life. As a result, the unfinished product was then ported to the PC version to be released as an expansion pack. The final product, under the name of Half-Life: Blue Shift, includes the new expansion, a full copy of Opposing Force (the first expansion), and the Half-Life high-definition package. 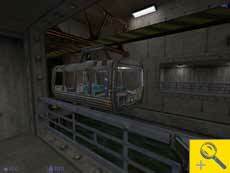 Since Blue Shift comes as a separate game, you don't need Half-Life to play it. It's a small and quick install so there is nothing major to it. To install the high-definition pack, just click the button and it'll ask you if you want to install it or remove it. 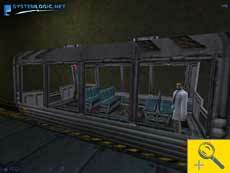 The same goes for Opposing Force. Do yourself a favor and ignore the AT&T thing. The total package is rather interesting so click ahead to learn what's the big deal about the game. Here's one thing that may interest people in purchasing the expansion. The brand spankin' new high definition pack. To sum it up, the package is simply an update to all official Half-Life products, such as: Half-Life, Opposing Force and Blue Shift. These new models, animations and sounds are there for users who have decent systems that can easily sport something new and prettier. These models were originally intended for the Dreamcast edition but instead were ported over to a new .PAK file. The beauty of these models though is the polygon count is nearly doubled. Let me clarify that the package only updates the models (weapons and game characters) and some sounds as oppose to all new maps. 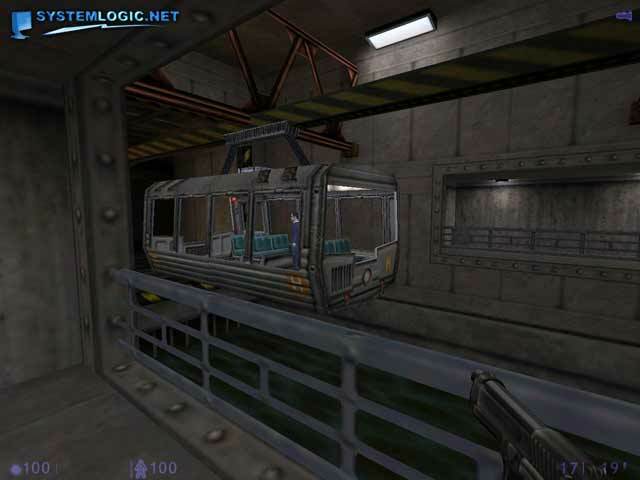 In all honesty, these new updates are simply beautiful and have given me a reason to replay both the original HL and Opposing Force. Now after playing through Blue Shift, I've come to the conclusion that there is barely anything new in terms of graphics or sounds. 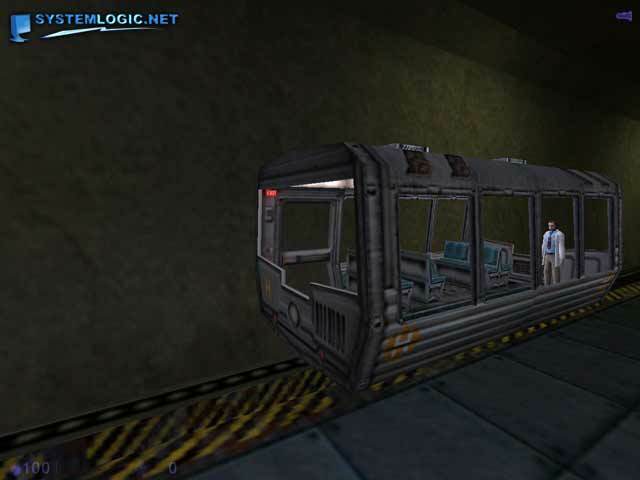 The expansion uses all of Half-Life's original models unless you update them with the high-definition package. The soundtrack? It's just the same music that was on the Opposing Force cd. Granted that the Opposing Force expansion is included in the package, I simply had hoped for some new music and sounds since it so heavily affects the atmosphere of the game. Basically, the new models look rather nice and that's really the only thing new when you look at the graphics aspect. When it comes to sound, there isn't really anything new here so moving on to the gameplay. 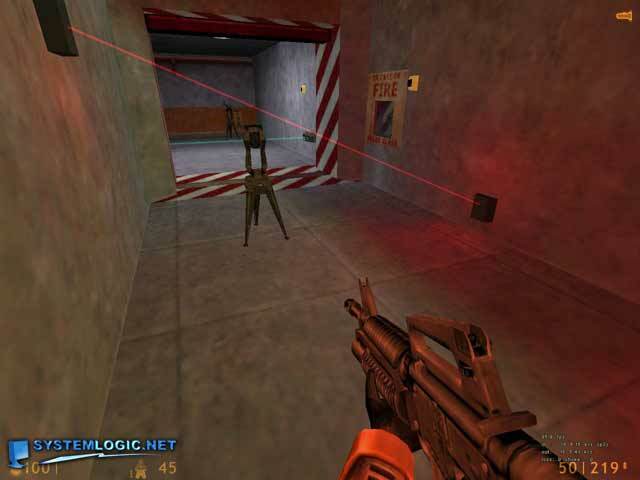 We all know and love the gameplay that Half-Life originally had to offer. It is one of the greatest games of all time for a reason, isn't it? 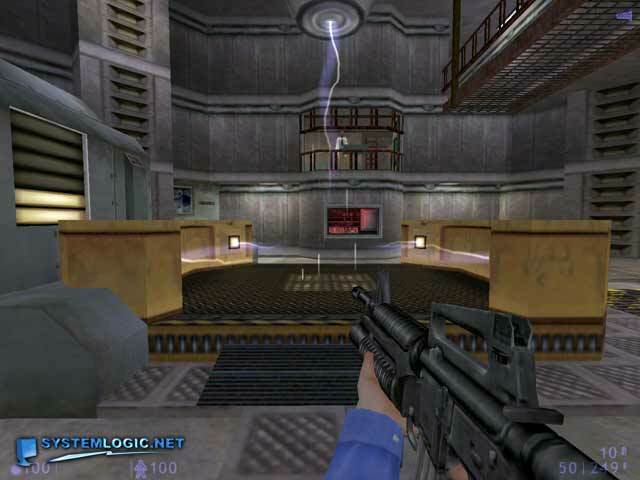 The same quality of fun was placed into the first expansion pack, Opposing Force (made by Gearbox Interactive) where you played a military grunt instead of a scientist. This time, you're just some lowly security guard who has taken the Blue Shift (also by Gearbox) who was also left behind. That's really all there is too the plot… aside from you finding a group of scientists and helping them figure a way out of the Black Mesa Facility. 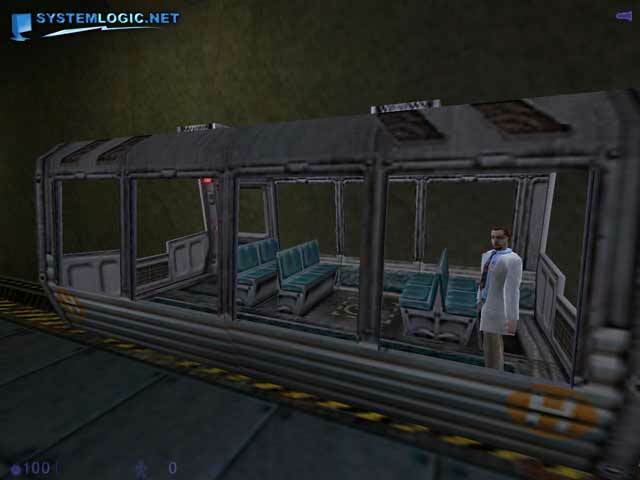 Now you start off the game just looking back at the original main character, Gordon Freeman, as he drives by in the little railcar. As you run around performing the required tasks, you run by parts of the game that you only managed to get a glimpse of the first time around. You even get to see some of the events that transpired in the original game. Instead of the original responses to when you try to talk to a scientist, they throw off cute little remarks such as: "Why don't you go guard a doughnut or something?" 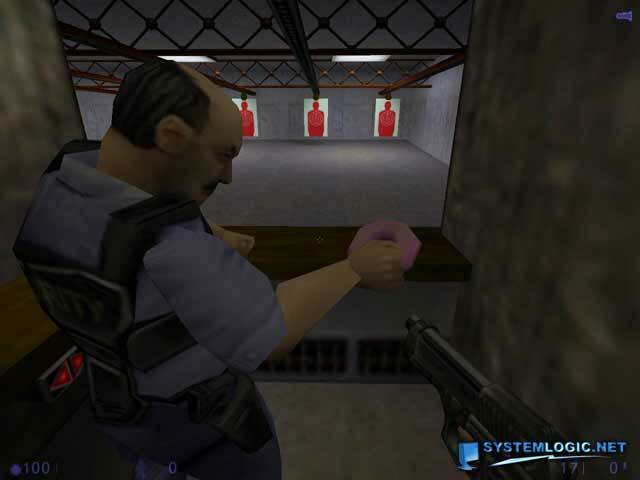 Since you're just Barney Calhoun, a lowly security guard, you won't get to wear a nifty HEV suit or anything like that. Instead, you get a basic helmet and vest as your armor. The only way to grab more is to pick it off dead security guards lying around. Way to pay homage to your fallen comrades, eh? Just jack their armor! The med-stations you will still are able to use just fine but no longer the HEV chargers. Things get rather depressing at this point. As I was going through the game, I collected all of the original guns pretty quickly. I was wondering how did that happen and why weren't there any new weapons… and then I beat the game 20 minutes later. I'm sorry but the expansion is incredibly short. You can get it over with in about 5-6 hours on the hardest difficulty. I actually reloaded the game a few times just to make sure I wasn't being stupid. And yes, it is incredibly short and anti-climactic. There was no difficult task or huge final boss to kill, all that happens is the game simply ends and cues credits. Honestly, I was expecting something about the length of Opposing Force but looks like it's far from it. Blue Shift's gameplay was just as good as the previous games in the series but it ends much too quickly. What will expect from Sierra/Valve next? 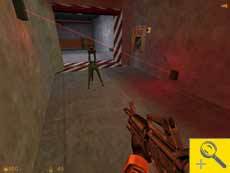 Play Half-Life from the perspective of a floor tile?! 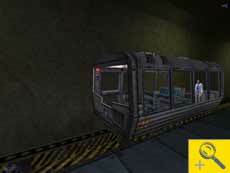 This expansion comes at around $30 as of press time and if you're a die-hard Half-Life fan? This would be the perfect addition to your collection. The new models are quite a joy to look at and the saving grace of this package is the fact that the first expansion pack, Opposing Force is included in full. Now if you already have OpForce, you can get a $10 rebate with your UPS. I mean, it is a Half-Life product… so by default it has to be at least decent. Even though Blue Shift was short lived, it was still fun to play and I never did get around to buying Opposing Force so that was also useful. If you've got the cash, give it a shot or just wait till the price cheapens a bit. Any comments, complaints, concerns, questions, insights, oversights or death threats, then feel free to post them here.